Lansing, MI — The Michigan Trails and Greenways Alliance has announced an annual award program to recognize the exemplary leadership of trail advocates across the state that have helped Michigan become the number one trails state in the nation. In a ceremony at the Capitol Rotunda on September 27, Michigan Trails will honor a Legislator of the Year, Volunteer of the Year, Federal/State Agency Employee Trail Advocate of the Year, and Non-Profit/Local Agency Employee Trail Advocate of the Year. Senator Hansen, Chair of the Senate Outdoor Recreation Committee, will be honored for his sponsorship of the Pure Michigan Trails legislation as well as legislation updating the state’s railbanking program, providing for volunteer liability protection, and most-recently his work to affirm the role of trail councils and the value of trails as a public good in a community. The senator was also a key proponent of renaming the Hart Montague Trail in honor of William Field, who purchased the former railroad and donated it for trail use to the state of Michigan. 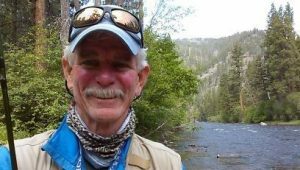 A long history of partnerships with the state led Michigan Trails to recognize a State Agency Employee Trail Advocate of the Year and to name it after Mark Mandenberg, the Michigan Department of Natural Resource’s former Non-Motorized Trail Grant Coordinator. 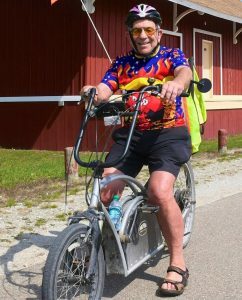 Mandenberg lived a life of trails from his days as an Eagle Scout in East Lansing carrying through his many years working in trail development in the MDNR. Mandenberg passed recently after a courageous battle with cancer. Like Mark, the award recipient must demonstrate an unusual and unique commitment beyond normal job expectations for work on developing and managing Michigan’s trails. Roger Storm, MDNR’s Trailway Acquisition Specialist, is the 2018 Mark Mandenberg State Agency Employee Trail Advocate of the Year awardee. Storm is a long-time trail advocate and the former Michigan Chapter of Rails to Trails Conservancy State Coordinator. He is currently administering the Department’s Trailway Acquisition Program.